Winter brings many dangers for motorists, with one of the most threatening being slippery and hard-to-spot black ice. Black ice (clear ice) is a thin coating of glaze ice on a road surface. This ice itself is not black, but visually transparent, allowing the often black road below to be seen through it. The typically low levels of noticeable ice pellets, snow, or sleet surrounding black ice means that areas of the ice are often practically invisible to drivers. The black ice is like regular ice. Black ice forms when the air is at 0 degrees Celsius or below at the surface and rain is falling. The ground temperature causes the precipitation to freeze upon impact, thus creating ice. 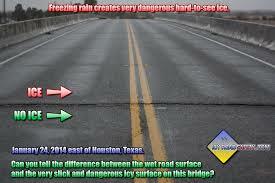 Sleet and the refreezing of snow or water can also generate black ice. Black ice, is really dangerous because it’s invisible (the term “black ice” being somewhat of a misnomer, as the ice is visible). However, you can better protect yourself by understanding and knowing how to deal with this winter issue. 2. Know where and when to expect black ice. Black ice usually forms just about the freezing point. Sometimes in frigid weather conditions on highways, black ice will form due to the heat of tires on the road coupled with the freezing temperature. Black ice forms mostly at night or in the early morning when the temperatures are at their lowest, or on parts of the road without much sunshine. 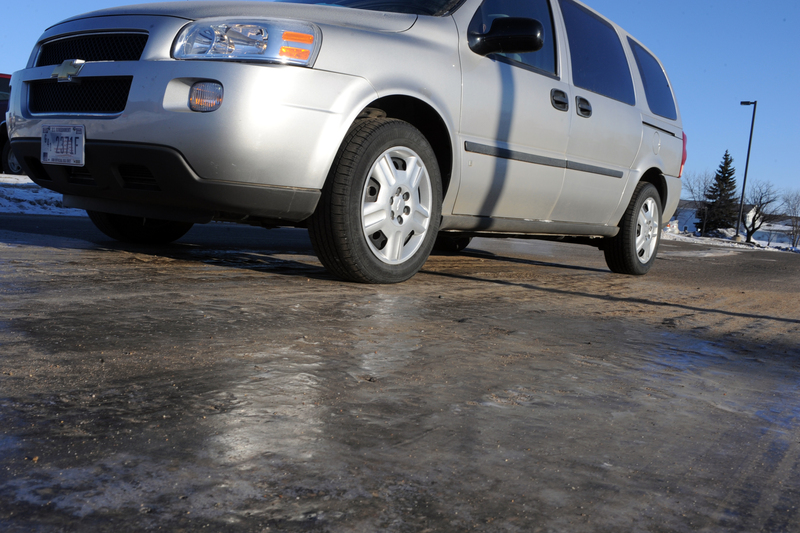 Black ice forms more frequently on roads that are less traveled on. 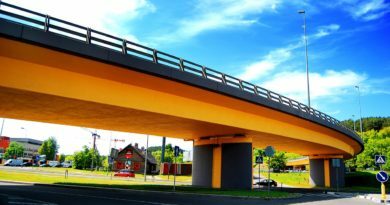 You can expect it on bridges, overpasses and the road beneath overpasses. This is because the cold air is able to cool both the top and under the bridge or overpass, bringing about faster freezing. 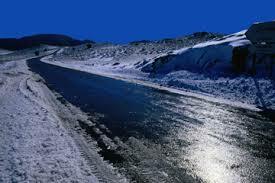 But keep in mind and always be prepared for the possibility of encountering black ice on the road. If, while driving, you can see cars in front of you suddenly swerve for no apparent reason, it could be a signal for a black ice on the road. 3. How to see black ice? Although the black ice is transparent, it can be seen (sometimes) in the right lighting conditions. Black ice almost always forms in very smooth, very glossy sheets. This type of surface is an indication of potential black ice. This technique is not applicable to detect black ice at night, but if there are dawn, daylight or dusk it can help you to detect the black ice on time. 4. 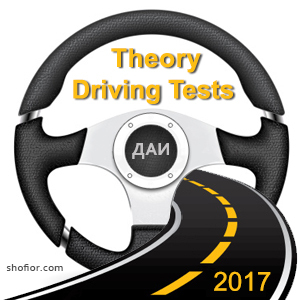 Practice driving on slippery surfaces. NEVER drive in potentially icy conditions with your cruise control active. Every winter time spare some time to practice your driving skills on ice and snow, in a safe surrounding. Find a nice, large, empty parking lot or not so used roads, covered with ice or snow. Drive on ice. Drive on snow. Be familiar and understand how your car react on this snow and ice conditions. Be prepared to practice braking on ice or sharp turning. Understand how your car feels and handles in these conditions. Know what ABS braking can do for you on ice. 5. What to do if your car is on black ice? First reaction is to remain calm and avoid overreacting. The general rule is to do as little as possible and allow the car to pass over the ice. Do not hit the brakes. Do not try to keep the steering wheel straight. If you feel the back end of your car sliding left or right, make a very gentle turn of the steering wheel in the same direction. If you try to struggle against it by steering in the opposite direction, you risk skidding or spinning out (see below for what to do if this happens). Slow down by de-accelerating. Lift your feet off the accelerator completely and keep your steering wheel fixed in the position it’s in. Slowing down will give you more control and prevent needless damage. It will help you to slide over the ice in the direction the steering wheel is facing. (Usually black ice patches are about 6 metres long). If you lose traction – stay calm. Black ice is often (although not always) patchy, so hopefully your tires will soon find traction. Use the minimum amount of braking possible. Drive slowly. Don’t try to speed during icy weather. Keep your windshield clear of ice, snow, dirt, and anything else that can prevent you from seeing out of it properly. 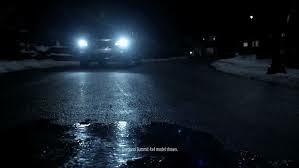 Turn your headlights on always to help you see any possible sheen from black ice. Check your tire tread. Worn tread causes accidents in any conditions, and will ensure you lack traction when needed on black ice. How not to drive on ice! 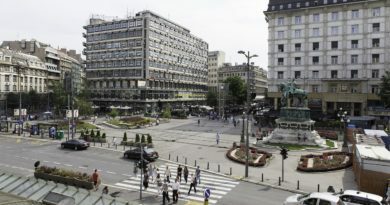 Bulgaria: Suspension of driver’s license – when? 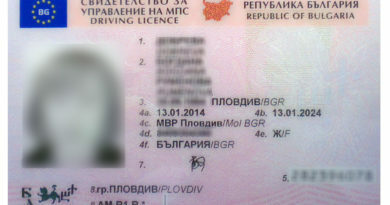 August 16, 2017 admin Comments Off on Bulgaria: Suspension of driver’s license – when?